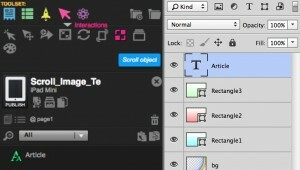 Create a new kwik project with iPad mini. 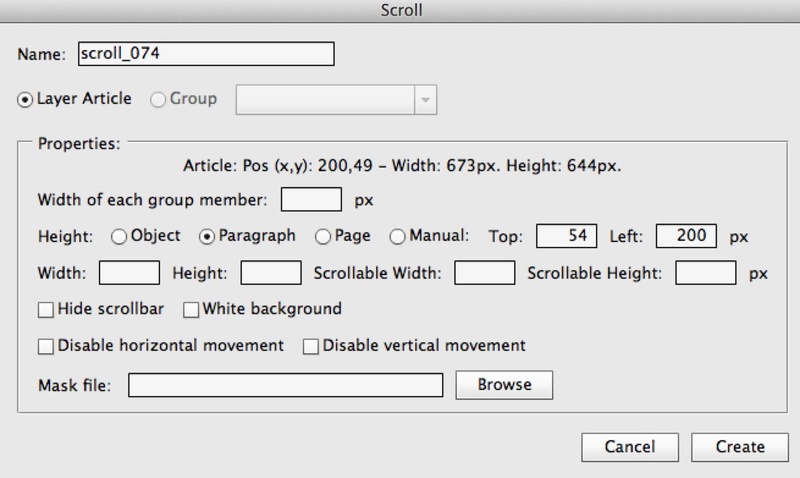 Select Rectangle2 that will be viewable area of scroll widget and then click scroll from Interactions on kwik panel. 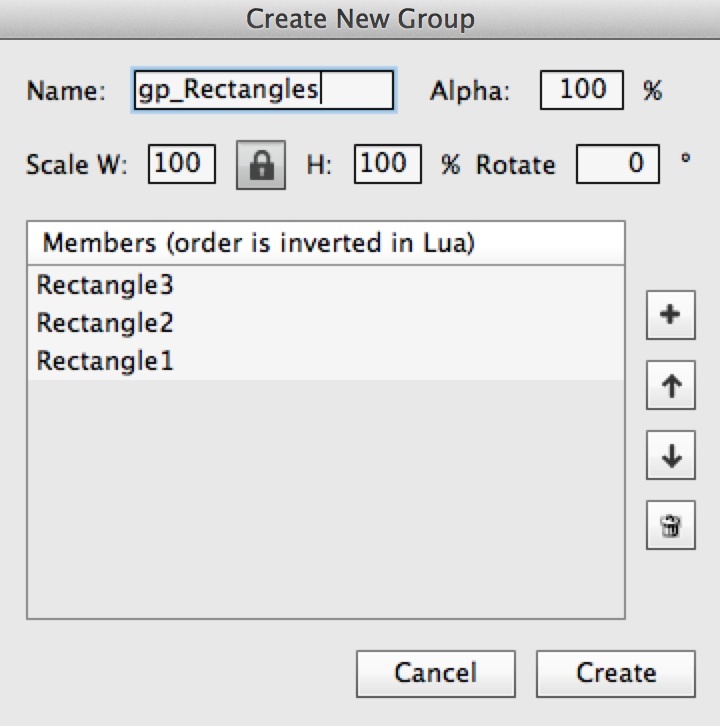 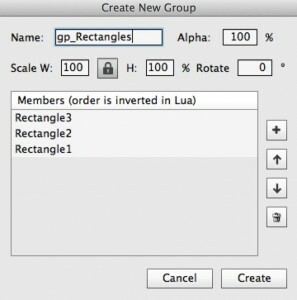 Select Group to choose gp_Rectangles group. 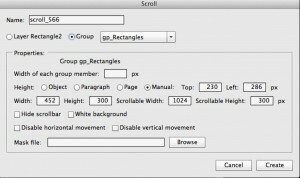 Select Manual and enter the following values to configure scroll widget. 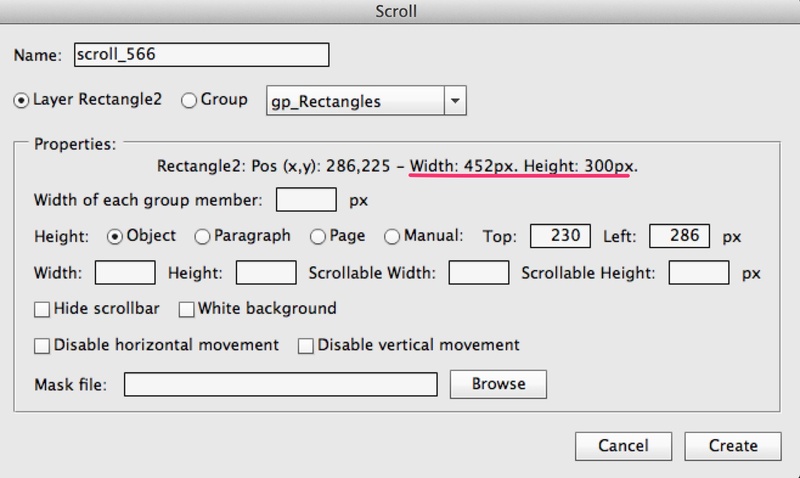 Top:230, Left 286. 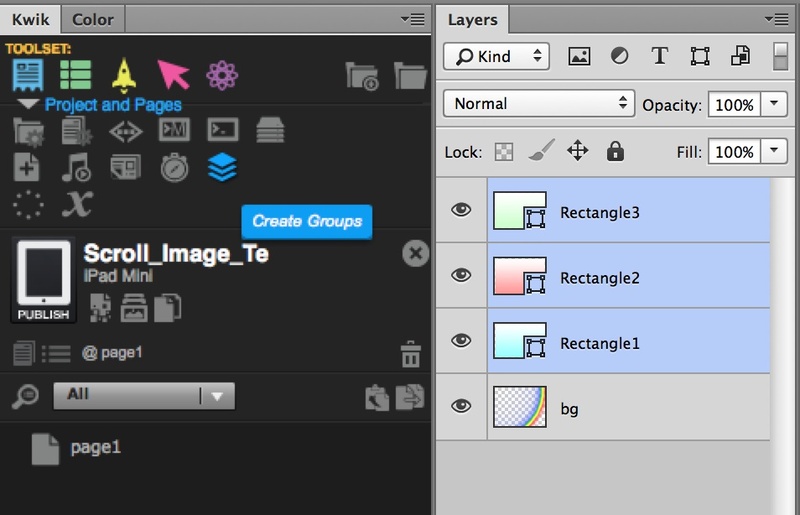 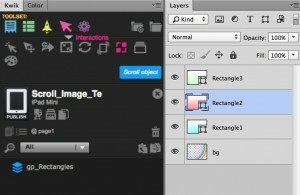 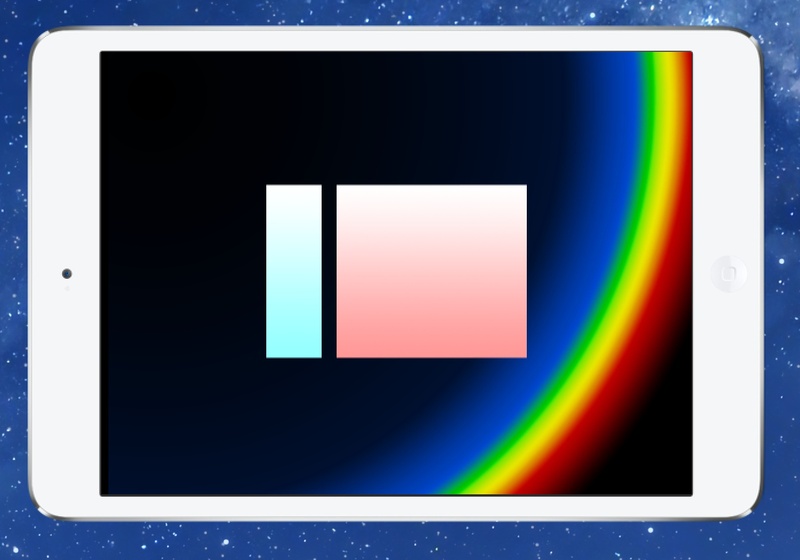 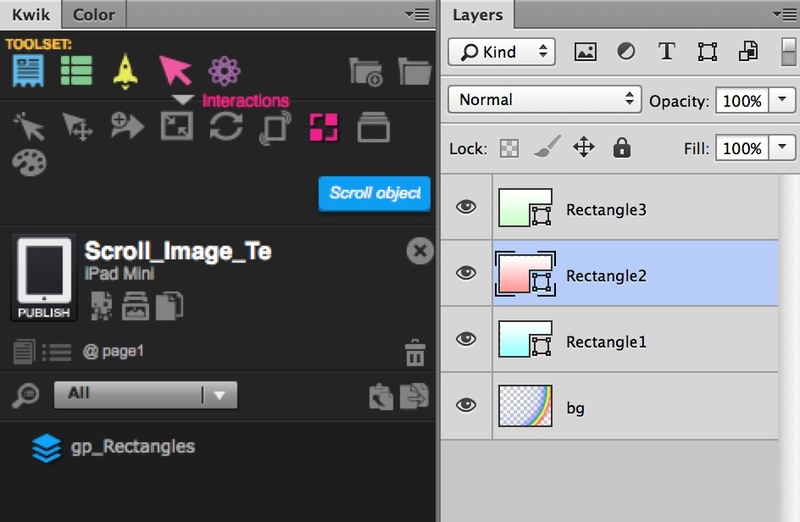 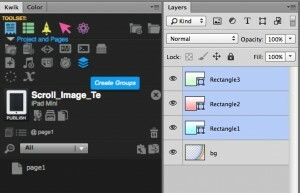 The value from layer Rectangle2 should appear here as default. 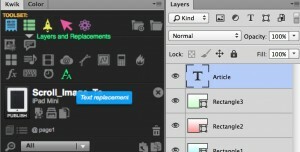 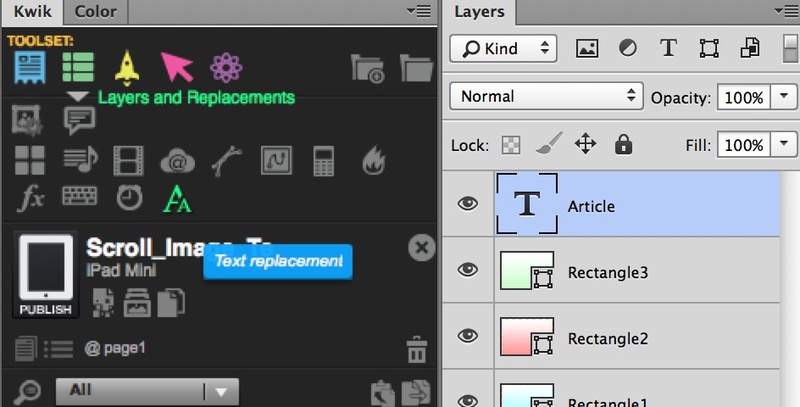 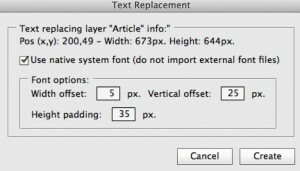 select Article layer and use Text Replacement of Layers and Replacements. 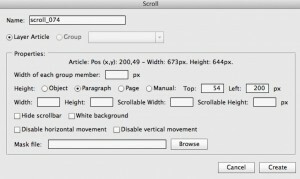 Select Paragraph. 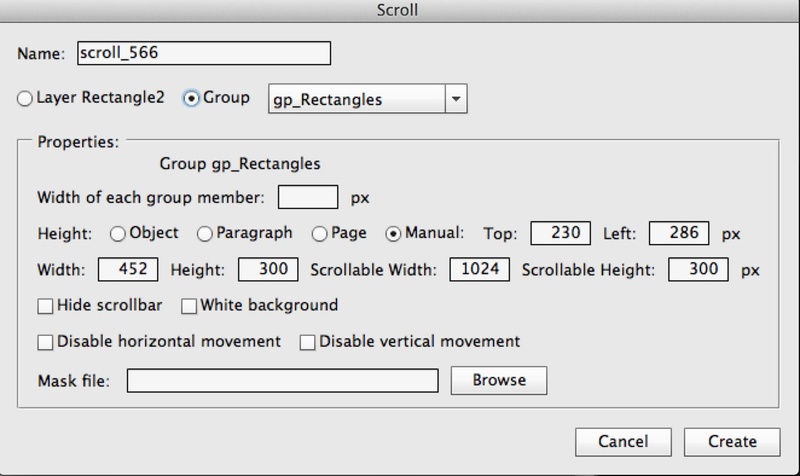 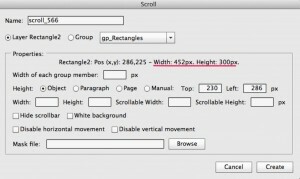 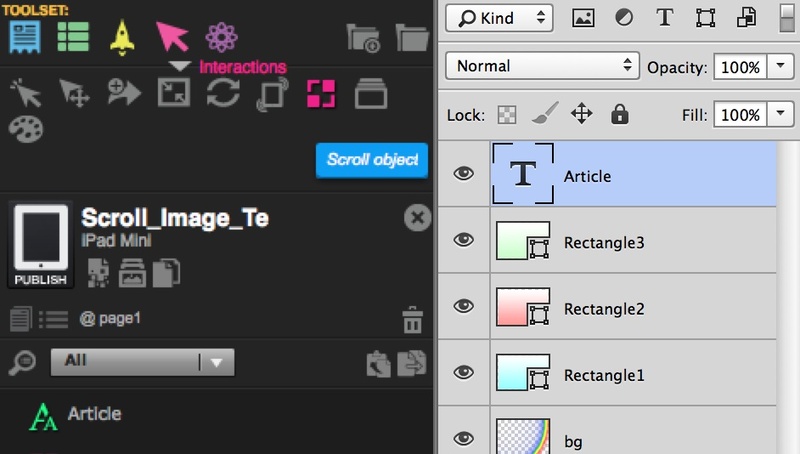 This set the scroll widget viewable area as the same height and width of the photoshop layer. 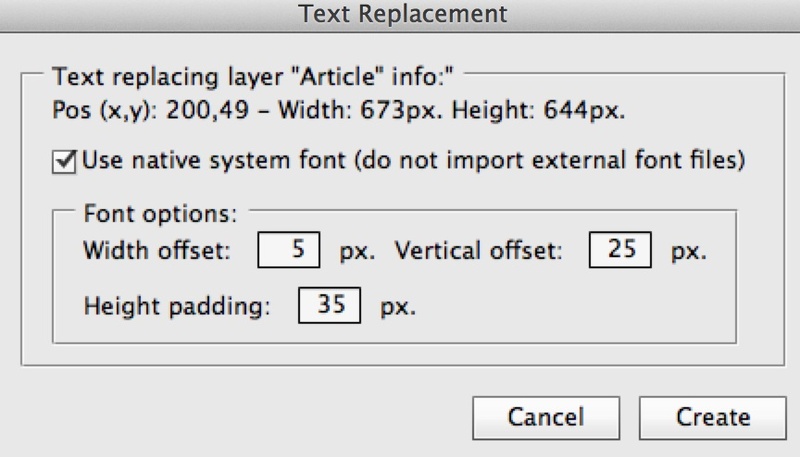 If you choose Object, the area of the text object created at the runtime will be applied and it would be different to the area in photoshop.